Can a Facebook group Help Solve Grimes Sisters Murder ? Facebook'em Dano! Sorry about that! Today is the 56th Anniversary of the Grimes sisters murder and the discovery of the bodies of Barbara Grimes and Patricia Grimes whose unclothed bodies were discovered along a lonely stretch of German Church Road in then unincorporated Burr Ridge by Leonard Prescott on January 22, 1957. On December 28, 1956 (almost a month prior) Barbara who was 15 years old and a student at Kelly High School and her younger but taller and more outgoing 13 year old sister Patricia set off from their home at 3634 S. Damen Avenue in Chicago to see their idol, Elvis Presley, in the movie "Love Me Tender" showing at the now razed Brighton Theater, 4223 Archer Avenue. They would never see their mother, Loretta Grimes, again. The girls never made it home from the theater and one of the largest missing persons cases in the history of Chicago began! Tips poured in from all over the country from people who swore they had seen the girls on a Chicago CTA bus, hanging out with sailors at Great Lakes Naval Training Center, attending other movies on Madison St., getting off a bus in Memphis, TN to visit Graceland, the home of their hip gyrating idol and many many others. During that time Loretta Grimes received a couple of ransom demands that were secretly checked out by the FBI and Loretta Grimes but did not pan out. She also received many prank calls from the most despicable of people telling Loretta that her girls were "tramps" and got their just deserts for not being virtuous young women. Thousands upon thousands of man hours by the Chicago police department as well as the Cook County Sheriff's department and many surrounding suburban towns were expended and special task forces were set up. Elvis Presley himself came on the radio pleading for the girls to return home if they were able to. All of this changed on January 22, 1957, when Leonard Prescott was driving east on German Church Road on his way to the store when he spotted what he thought was two mannequins lying along the north side of German Church Road just east of County Line Road and just over the guard rail where Devil's Creek crosses underneath. He reported this to the Willow Springs Police Department and the media circus began. The girls were identified by their father, Joseph Grimes, who had been divorced from Loretta for about 11 years at this point. The girls' bodies were unclothed and frozen solid so autopsies had to wait for the girls' bodies to thaw. The older sister, Barbara, was lying face down and her younger sister, Patricia, was lying face up, on top of and perpendicular to her sister. Unfortunately there were many mistakes made in the initial and follow-up investigations due in part to the lack of cooperation and jockeying by the Chicago P.D. and the Cook County Sheriff's Department as to who had jurisdiction on the case and who would take the lead in the investigation. Eventually the Cook County Sheriff's Department would head up the investigation. While there were marks on the face of Patricia, due in part to likely posthumous animal damage and also shallow puncture wounds on Patricia's chest, the Coroner's Office could not come up with a cause of death. The girls were not shot, stabbed, strangled, beaten (as far as could be determined), or poisoned The official cause of death was listed as "exposure" although the Coroner stated it could have been suffocation but would not have left physical evidence if it was. It was now a murder investigation and a highly publicized one. The pressure was on to solve the case and arrest a suspect. 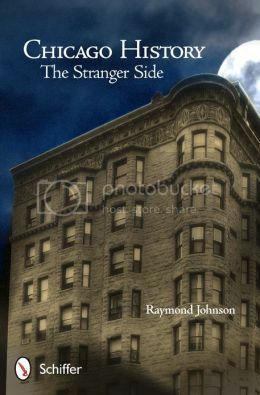 Various suspects were interviewed and released until a young, somewhat mentally challenged drifter named Edward "Bennie" Bedwell was suggested as a suspect by his employer at the D&L Restaurant on Madison St. Bennie worked there as a dishwasher and his employer said that he remembered seeing Bennie and another male with two girls matching the description of the Grimes girls at the restaurant. The Cook County Sheriff's police picked up Bennie and brought him to a motel room owned by a Sheriff's deputy and interrogated him for roughly three days. At the end of this time, Bennie admitted killing the girls after hanging out with them for almost a month with another man named "Frank" He said that they drank with the girls and had sexual relations with them in various skid row hotels. Eventually Bedwell was cleared of the murders after the autopsies were completed and it was discovered that the girls had died within four hours of leaving home due to the contents of their stomachs matching what they had eaten before they left home the night of the movie. Other suspects were identified and interviewed including Max Fleig, Walter Kranz and many others but nobody was ever charged. Loretta died never knowing who was responsible for the crime and the case is still "open" but "cold" to this day. Being a former investigator myself I joined the growing number of people intensely interested in helping to solve this case and have had the opportunity to share some of what I had uncovered with the authorities a number of years ago while writing a book but knew that there is no way that any one person (other than the killer or killers) would have or could gather enough information to help solve the crime so I decided to use social media to generate continued interest in the case and to generate a clearing house of sorts for information related to the crime. 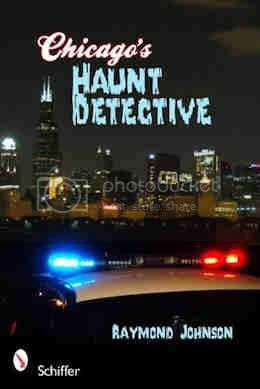 I started the group about a year ago and it consists of people currently living in the Back of the Yards and Brighton Park neighborhoods, current police investigators, former neighbors, friends and school mates of the vicitms, associates of some former suspects and has been a gold mine of information. I even had the opportunity to talk with a woman who was abducted with the Grimes girls on the night they left the theater and the daughter of a woman who knew a local Priest who is no longer alive but had claimed to have taken a confession from someone claiming to have been the killer. I believe that everyone may have a little piece of the puzzle and together we can use the power of the Internet and social media to share info and public awareness and who knows we may be able to bring this case to a close and the remaining family and the city of Chicago some closure. 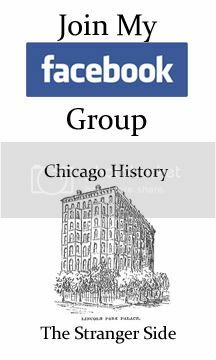 If you are interested in the Grimes Case (even if you don't believe you have any information that can help) the Facebook group is "Help Solve Chicago's Grimes Sisters' Murder" . I have also have a previous post discussing a very strong suspect in the case that had previously been forgotten about.